This entry was posted in Month of August, Orientation Flights, Swarm Prevention, Year 2016 and tagged Video. Bookmark the permalink. If your twitter post about your nuc being too hot has anything to saw about this, is that they may also be competing with heat, which I believe is another influence to swarm. Be prepared in case of Door #3! No way, José. Those are mostly orientation flights. This hive is fully ventilated with an empty moisture quilt on top. This is what a colony at its peak condition looks like. It always rides the edge of swarming just a little bit. I’m putting my money on honey. I also pulled three frames of brood from this hive about two weeks ago to relieve congestion and any swarming triggers. I’m also betting on it being too late in the year for a swarm. 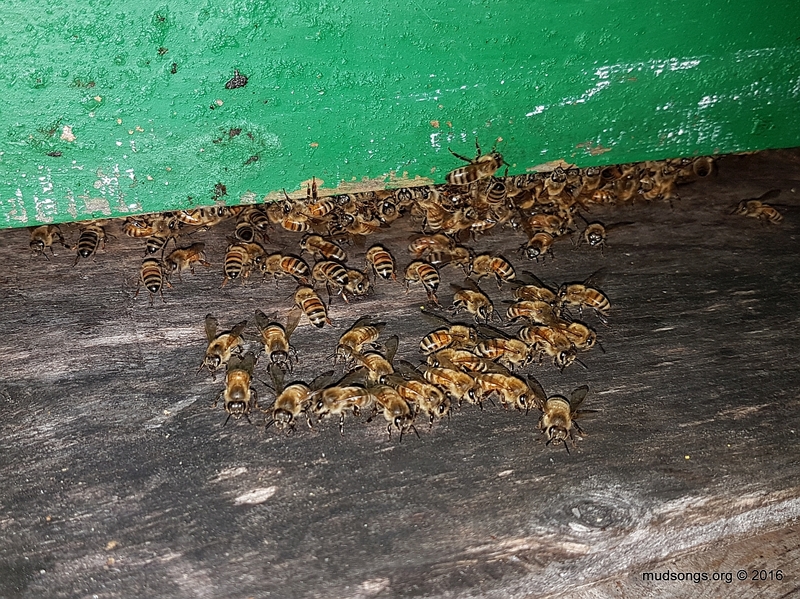 I know a swarm can happen right into the fall, but statistically, it doesn’t happen as often at this time of the year when the queen should already be slowing down her laying in preparation for winter. I also hope you’re correct, best of luck! I passed the video on to a friend and asked her that question and she said I should check the hive for swarm cells. But I think she’d say something different if I’d given her the full history of the hive (which I later added to this post). Anyway, I’m still placing my bets on no swarm and tons of honey.